So far this looks to be the best in class. Can't some experienced manufacturer make something decent? So show me something in action and something real. The big Downside? It's not shipping until December or January. Well, $1000 may be more than you want to spend, but this thing has at least twice the performance of the Atom CPU and also supports virtualization. By the way, the last full function TabletPC I bought is NOT touchscreen, no 3G, no GPS, weighs in at over 6 pounds and cost me more than $3000, so at $1K to me it’s a bargain for the features. Additionally, I’ve use Asus products for a really long time and I trust them; I might like these specs coming from Acer who has been in the tablet business, but it’s still a major manufacturer. I am pretty excited about the next generations of real tablets as you might already notice from all these Blog posts… So why am I posting all this? I think this is a HUGE opportunity for developers. UIs will be the major success factor for these devices. I plan to start talking at great length about how to effectively use Silverlight on these devices to get your line of business application onto them! 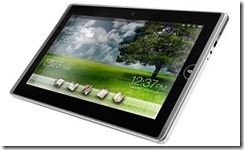 In my daily snooping around at what's going on in Tablets, I ran across the Kno. Personally, I've never heard of it before and I wonder how it has escaped me up until now. Could this be the Tablet I have been dying to own? Write. 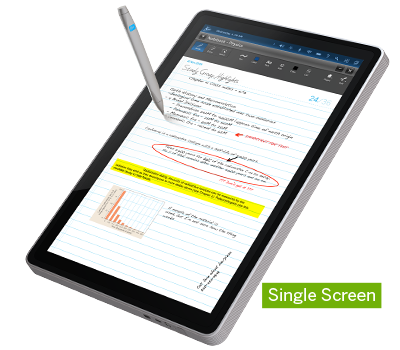 Revolutionary digital note-taking using natural handwriting or a keyboard. 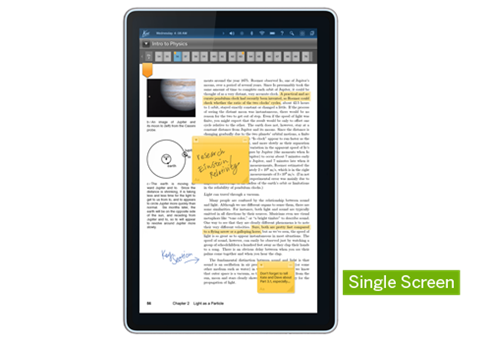 Even drag highlights or graphics from your textbook or the web directly into your notes. Touchscreens. Navigate using touch-screens that deliver amazingly natural interactions with textbooks and notes. Browse the web. Full-featured browser supporting HTML5 and Adobe Flash™. Rich media. Experience HD video, audio recording and playback, and even more. Multi-tasking. Change learning states instantly. Glide from a textbook to a video, then dash off a note with total fluidity. Looks very similar to OneNote, but it's not OneNote… It's geared to students so note taking is a big deal here, precisely what I want, but it's running Linux… and it's geared to using TextBooks. Not that I totally dislike Linux, I don't. I have multiple Linux machines running. It's just not my preferred client and development system. I am hoping someone will make a Windows Embedded 7 system that can run Silverlight and hopefully OneNote. But then again, this is still extremely intriguing. If it's running Linux, I wonder if MoonLight is an option here, and if it is, I am sold, I'll move to this notekeeping software because it looks sufficient for my needs and I can probably extend it in many ways by writing apps. It also comes in a Dual Screen version which is less appealing to me now. Dual 14" screens may change that, it could be very interesting indeed, but not as my first choice. So for now, I am parking this in the KEEP WATCH ON camp. 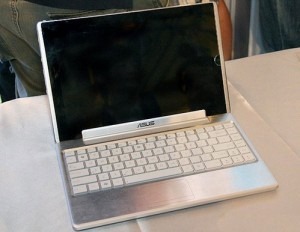 I seriously think I will be joining the developer panel on this device. Interestingly this Libretto is everything the Courier was without the software. It's going to be a long summer for me waiting on these things to ship because I really need one now. No word from Microsoft about whether the courier software will ever get released, but there is InkSeine and OneNote which can do most of it, however the interface is not geared toward touch, it's focused on Pen. The next two years are going to be very interesting as multitouch software evolves for slates, its a HUGE opportunity for innovative developers right now. I continue to search for a viable Win7 Slate. I am really annoyed that I won't have one for a few more months. Lately I have been carrying around my ANCIENT Toshiba M7 tablet to meetings all day; the weight and battery life are really starting to irritate me. Since these are my two very basic requirements, I have a narrower focus than most people when it comes to a Slate. Since the previous two I was looking at have been officially cancelled (HP Slate and MS Courier) I think I have settled on the ExoPC. It appears from the specs that this is my machine. Sure, I'd love to have a ton of consumer crapware on this (not) from an AppStore, but really I only want to use it for OneNote and watching occassional movies. I need a pen because I just can't type in a meeting, it's never been practical for me. While it's not speced here, It is supposed to ship with a stylus and since it's windows I can install some palm-rejection software if its not already there. This thing looks pretty awesome, see the link for Specs. I hope it ships on time in September. I have been dark for a bit while I sorted out some things and I can now finally announce that I have made a pretty significant career move. As of last week, I am now the Executive Principal Enterprise Architect at US Airways. I wanted to be somewhere that I could focus what I do best and US Airways fit that bill perfectly. I considered a few other outstanding companies but the roles I would have had there were different. What I am doing at US Airways is focusing on the Development Process, this is something I have had great success with in the past for other companies. When I look back to what I was doing 5 years ago, I really enjoyed it more than what I have been doing since, so I am returning to that role. Building Reference Architectures, talking to and learning from the best people in the industry, then sharing that with a pretty large development staff is something I enjoy immensely. I look forward to what I will be doing here because it is rather challenging to take the system currently being used and design a way to improve it and carry that throughout the whole enterprise. Delivering quality software is freaking hard. I don't mean it's just hard to write, there are thousands if not millions of brilliant developers who can accomplish that task. Making Software actually move from Business Idea to Dependable Application is something entirely different. Coordinating from Business Analyst to Project Management to Developers and Testers; then making that process repeatable throughout every project in an enterprise is even harder, that is my challenge. Having been in the software development business for oh, about 25 years has led me to some pretty unique insights into what works and what doesn't. I have had the privilege to work with and learn from some of the smartest people in the business and I look forward applying that in a great enterprise. I absolutely have some pet architectures that I am focusing on and some of that I will be able to move out into the Open Source world. I also want to talk more about each of these, how they relate to each other and how to build projects with them all together. Manual Deskterity is a methodology of using both Pen and Touch together. It’s not just about the Pen, it not just about Touch, it’s about combining them for the best natural interface. Technology Review has a nice article about this as well. Touch screen interfaces may be trendy in gadget design, but that doesn't mean they do everything elegantly. The finger is simply too blunt for many tasks. A new interface, called Manual Deskterity, attempts to combine the strengths of touch interaction with the precision of a pen. When we started using the mouse, it was so clunky and hard to get used to, but now we can’t seem to get away from it. To date the pen on a Palm, TabletPC or Wacom Cintiq has been so horrid that people reject it for good reason, the Interface is crap. It’s not the same comfort as jotting a note or drawing on paper. Hinckley also thinks it's a mistake to focus on devices that work with touch input alone. He says, "The question is not, 'How do I design for touch?' or 'How do I design for pen?' We should be asking, 'What is the correct division of labor in the interface for pen and touch interactions such that they complement one another?'" The researchers plan to follow up by adapting their interface to work on mobile devices. The above video shows this running on a Microsoft Surface. These devices are just too damned expensive to ever be mainstream. However, we are starting to see real and usable Multitouch Monitors that can surely be Pen Enabled soon. The price point is now under $750 which is much more reasonable and as MultiTouch pervades the designs in the future, even more will appear and the price will drop. 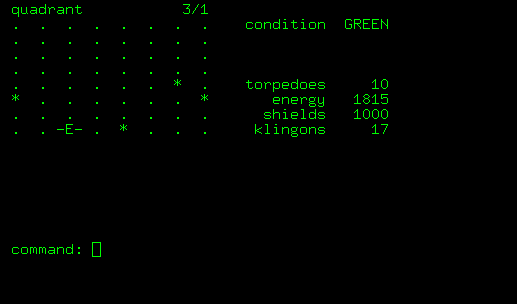 Using this scenario on a Slate type device makes even more sense. Courier looks promising where this interface will be used to great effect, but I believe the Slate is most likely the better form factor than a foldable display. People will always object to any new technology until it how to use it starts making sense and software gets out of your way. No doubt, the iPad is a cool device, but it has no impact on business or making your life easier. The CrunchPad shows some of the lunacy surrounding what is being delivered today. My thought’s on the iPad; it will drive the desire for a real tablet with a Natural User Interface called a Pen. Why? Because we need natural input… The consumer oriented device without a pen is just wrong. Wrong, what do you mean wrong… the iPad sold 300,000 units on the 1st day! The marketing weenies are dictating what should be produced and they don’t seem to get it. Non tech users HATE keyboards, even soft ones, they ALL know what a pen is and how to use it if only the NUI would get out of the way, the TIP is horrid. The HP Slate? awesome... except they FORGOT THE DAMNED PEN! And of course they will have all kinds of assorted CrapWare to ruin the package. This is another great idea with a piss-poor implementation. 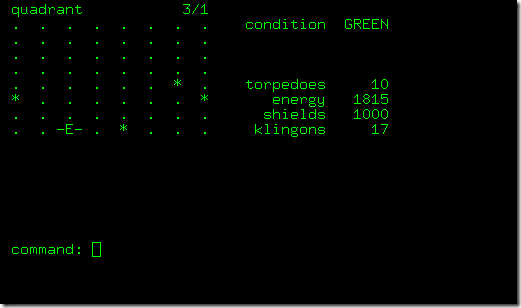 Again… no pen… and it’s running Android, which means writing Apps in Java. Android does seem to see that Handwriting recognition is useful. Android may also be the only thing that keeps Java alive. What is wrong with this industry? We are on the verge of greatness and everyone is dropping the ball. A pen is not a difficult thing to add to these devices. Basic gestures like Pinch, Swipe and Flick are fine for fingers. I draw, sketch and write with a PEN, that is NATURAL, using my finger for these is… not. The Courier might be ideal if they don’t hamstring it… At least it HAS A PEN! However, it can’t run something as powerful as Photoshop, but beyond basic drawing should be easily accomplished. Windows Mobile 7 means that all the Handwriting Recognition will be there since it’s in Silverlight as it has always had an Ink Presenter, to date, its just very little used. The Courier might be too small. We won’t be watching movies on that screen except maybe on an airplane, I doubt we would like it on the sofa. I mean seriously, Apple, Nokia, HP, Google, Samsung, Sony, Asus, Acer, Motion… Can’t anyone get this right? I LOVE my Bamboo ($149) but it doesn’t replace a Tablet PC or a screen input device, I’d rather see the output under the pen. The Cintiq 21UX is awesome, but A) it’s not wireless and B) it’s $3,000... the 12Wx is $950 Still too much and A) not wireless. Here is a spec that I throw out for pure joy. Eventually we will see something along this line, but not in the near future unfortunately. (Total size 8.5”x11”) under 1/2” thick. Software MUST SUPPORT: Flash AND Silverlight/Moonlight BOTH, BOTH, BOTH!!!! External I/O: USB and SDHC, give me expansion! Ease our development burden and adopt .Net or Mono as the development platform. Why? Ruby was a small box last year and is now 8 largest language passing Perl and Python and is now knocking on the door for Visual Basic's spot. Ruby has the second largest unit growth after C# and went from 4% overall market share to 5% and is 4k units off of displacing VB for #7 overall. C# was equally impressive with a 36,811 unit growth or 18.85% growth and went from 11% market share in 2006 to 13% market share in 2007. At the rate it is going, it should surpass Java as the number one language this year as it is only (9,526) units short and is on a positive 18.85% growth rate while Java continues its slide at a (14.16%) clip. Can it be done? Of course it can! It’s just going to take a few more months or even a year for manufacturing to get geared up for this stuff, then prices will fall and we will have something amazing to carry around. Make a deal with MULTIPLE wireless carriers like Verizon, Sprint and TMobile, make it open, put CDMA and GSM radios in it. Do you want REAL marketshare? Take an initial loss if necessary and pump this out, the same way PALM, RIM, Apple, MSFT and everyone else did when they started with something revolutionary. So, back to why I need a PEN. Get REAL, Windows OWNS 90% of the total OS market and it’s not going to fall off dramatically anytime soon. iPad is cool but it owns 0% of the business market and never will garner much in it’s current implementation. Look at that STUPID device that UPS has you sign every day… Want to replace that in the near future? What do they care about? Barcode Scanner, GPS and Signature input. PERIOD! You can AND SHOULD replace every one of those smart keys with soft screen icons, the camera can read a barcode, but you NEED A PEN TO SIGN. Store Delivered Apps are cool for discovery but businesses and geeks will want to install their own proprietary stuff without a “store” to tell them they are compliant. Could a Store drive sales? of course, don’t be thick… Retail is a different animal, but you CAN AND SHOULD serve both worlds. I also think we will start seeing dual or triple Monitor desktops using 24” Multitouch screens. I can do it now DIY for ~$1000 per monitor, but that’s really too much, less than $500 a piece and I’d be installing them everywhere. Later this year they should hit the streets at a reasonable price from 3M, Samsung and others. The biggest problem… NO PEN! We need screens that work with BOTH Multitouch and Pen, I learned that from the Bamboo and how often I switch between them. I gesture much more with two fingers and then do precision work like writing, circling, clipping, sketching with a Pen. 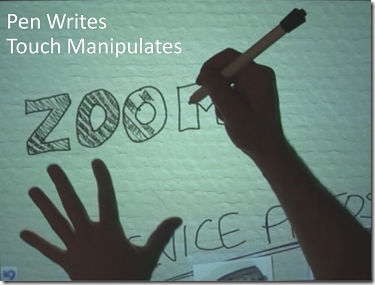 Something else that makes sense with a Pen is Shorthand, this could EASILY be added to handwriting recognition. I am sure other forms of Shorthand could and would be invented that make more sense in the computer age, and the only real reason it has died off is the horrible interfaces we have had with previous tablet PCs. 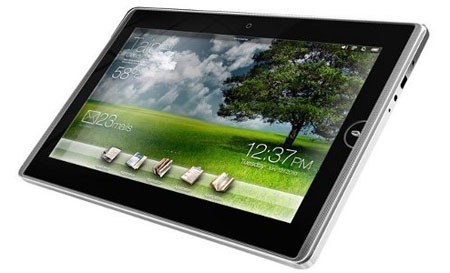 The tablet will definitely be re-invented, the question is will it be a novelty like the iPad or a useful tool? There is indeed room for both, the iPad will be around for a while and I think that if there was an option for a Pen, they would sell many of them, but only if there was additionally a Natural User Interface that made it compelling to use for writing as well as drawing. Rx is a superset of the standard LINQ sequence operators that exposes asynchronous and event-based computations as push-based, observable collections via the new .NET 4.0 interfaces IObservable<T> and IObserver<T>. These are the mathematical dual of the familiar IEnumerable<T> and IEnumerator<T> interfaces for pull-based, enumerable collections in the .NET Framework. Ummm, ok, what does that mean? Using Rx, programmers can write succinct declarative code to orchestrate and coordinate asynchronous and event-based programs based on familiar .NET idioms and patterns… By combining the expressiveness of LINQ with the elegance of category theory, Rx allows programmers to write asynchronous code without performing cruel and unnatural acts. Awesome, where do I get it? Download the installer you need by clicking the image above and you will see the links there. I’ll be showing some interesting demos about how I am using Rx to assist with some of the more painful (or lengthy) coding areas that Rx directly addresses and make dramatically simpler to both code and understand. Be sure to check out the Rx Wiki for lots Samples and more links. Install it and Love it! Before I get going on my Framework Series, I needed to have a way for people to get the code, branch it, play with it and fork it in way I don't expect them to. I mean, this is THE WHOLE POINT OF MEF, extend in ways in which you cannot predict when you initially design your App. I have been using Subversion for years and know for a fact (from multiple personal experiences) that branching and merging can cause tremendous pain for you. So I did not want to use SVN. This means basically I needed another SCM System. I see only two viable alternatives, Mercurial (Hg) and Git. Git is cool, but it's also pretty complex and doesn't run very well yet on Windows which is my primary audience, so we are left with Mercurial. So who am I to argue with that. I'm not, in fact I agree with it whole heartedly. The more I work with Mercurial the more I really love it. So what makes this different and unique from something like the iPad? First of all its Pen Based, the iPad is touch based and doesn’t even have an option of a pen. So that begs the question, if I have Multitouch and a virtual keyboard do I even need a pen? I am far more comfortable using a pen for quick notes and drawing than I ever will be with my finger. I can’t write text like finger-painting. Circle/Cut/Drag/Paste/Annotate is exactly what I need to do most and if you watch the video above you will see that this is exactly the target of the Courier. I want something small enough to carry without being cumbersome, with enough journal type functionality it can stand on its own. I want to carry this IN ADDITION to a phone (which is too small to be practical) and a powerful notebook that I will use mostly for Developing Software. I already carry two notebooks, but one is almost never used: the Acer 1420P which turns out to be a HUGE disappointment in functionality, it has every radio known to man, which is great, but the pen is a joke and the touch is resistive and leaves a lot to be desired, I may give this to one of my kids. Convergence will never happen, I gave up on that a long time ago, segregating what I do on 3 different devices makes perfect sense. 1.I want a phone that also lets me read an email, send SMS, Display Maps and do a quick browse of the internet. 2.I need a laptop powerful enough to write software, but is generally to big to whip out for meeting notes, or brainstorming… in fact it won’t be a Tablet. 3.Lastly I need something to organize my Mindmaps, Notes and Sketches for general work, this is where the Courier would fit perfectly. Originally when I first saw the iPad I thought it would work, but I need a PEN. I also need expansion or at least the ability to save things externally. I don’t want to connect my device to a PC to sync stuff, it needs to stand alone. First I have to assume it is a fairly open model like the Windows Phone 7 Series will be which uses XNA and Silverlight as the development platform. We can assume that since they run the same OS on the courier, developing will be the same. Secondly, and this is vitally important, is that Steve Ballmer just said that by the end of the year 90% of all Microsoft Employees will be working on Cloud solutions. This is critical because one of the biggest problems I have with OneNote is syncing. Currently I use Mesh, but that is not really optimal for the purpose and is limited to 5Gigs, a large capacity drive in the cloud completely solves this, but it MUST interact seamlessly with all my devices, this is where things like AWS fall down. No one is going to install Sharepoint just to sync OneNote files, well I did once and gave up because it was too much of a hassle. I want to be able to send my wife a OneNote notebook of a trip I am on so she can see it, do some editing and send it back. Currently this is agony to pull off. I need a damned Calendar that syncs properly to every device I have, maybe this will get solved in the next release of Office, but I am not holding my breathe. This plumbing is the sort of stuff no one wants to think about. Give me a few hundred gigs in the Cloud, a Phone that does simple things in my pocket and a Notebook that actually works well with Pen and Voice, connecting to a 3G network, has at least an 8 hour battery life and doesn’t require a nuclear power pack to run, this is what I see the courier doing for us in the next couple years. I certainly need a fairly powerful machine for development and I don’t want to pull that out every time I need to check my journal.